Rod Morley founded the Life Hope Foundation in 2001, fulfilling a life-long dream to formalize his passion to make a difference in the world. 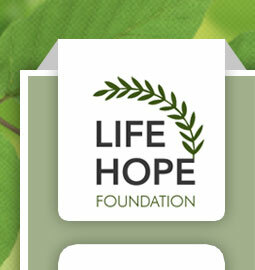 He remains the guiding force behind the work of Life Hope and the principle creator of the Genesis Project. Mr. Morley understands what it takes to lead a successful organization. Rod's entrepreneurial drive started very early in life. At age 12 he started working in a grocery store, sweeping floors after school for 75 cents an hour. He became assistant manager of this grocery store by the age of 16. He created his first company at age 18, a residential painting company and has created and lead numerous organizations ever since. Immediately out of college, Rod managed a consulting team for several years at Covey Leadership Center where his team helped to create companies or transform them into high-performing organizations. He consulted with Chevron, Saturn, General Motors, First Union National Bank and other Fortune 500 companies. From the beginning, Rod set his sights on success for the purpose of having the means to make a difference—whether in his own community or the world at large. This focus on service to the community was acknowledged by the Brigham Young University Marriott School of Management, which presented him with their distinguished Service Award. Rod has also been a first-hand witness to the devastation that occurs when individuals and families are in crisis – the death of a loved one, loss of employment, medical trauma, natural disaster, or other unforeseen circumstance that leaves individuals and families in need of urgent relief. Life Hope has provided food, clothing, medical care, and other necessities for individuals and families whose circumstances rendered them temporarily unable to secure those things for themselves. Mr. Morley's international vision for Life Hope began when he spent 8 months creating a strategy for a village bank in West Africa as part of a micro-enterprise initiative. While in Mali to implement the strategy, Rodney trained and mentored country officials and village leaders to help them establish a lending system that could make home ownership viable within their fragile economy. This humanitarian project left a bank for the community that is still operating today and has a loan re-payment rate of 94%. Rodney's experience in Africa gave him a vision of how the destiny of an entire community can be changed when time, knowledge, and resources are wisely used to address a specific area of concern. He also learned that the long-term success of such an initiative requires the involvement and emotional investment of those whose circumstances they hope to improve. These two principles undergird the Genesis Project, one of the key initiatives of Life Hope. Rodney Morley holds a degree from Brigham Young University in Organizational Psychology and Business Management. In addition to his service at Axiom and Life Hope, Mr. Morley is a popular motivational speaker and business development consultant.